As a leading benefit auctioneer, Karen Sorbo’s dedication, effusive energy, commanding yet elegant stage presence and precision techniques have engaged audiences across the country. Karen has raised over $700 million dollars conducting over 2,800 auctions since graduating from both the Missouri Auctioneer School and World Wide College of Auctioneering in 1993. Karen achieved national recognition as an auctioneer and spokesperson for important and humanitarian causes. Highly regarded for her knowledge and expertise as a fundraiser Karen has been featured in local and national media. In 2011, she was selected as part of the 2011 “Women of Influence” Speaker Series by Minnesota Monthly Magazine. In January 2012, Karen’s performing, humanitarian efforts and 20 successful years as a leading benefit auctioneer were showcased on Access To Experts TV. Since she first began benefit auction work in 1993, Karen has been an active member of the National Auctioneers Association (NAA) and Minnesota State Auctioneers Association (MSAA). 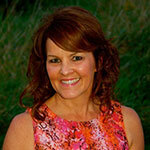 Karen joined the Women Speakers Associations (WSA) in 2012 as a founding member. She has mentored others and worked diligently to expand the exposure, presence and caliber of benefit auctioneers. She was featured in the WSA April 2012 eNewsletter as one of the “Women You Need To Know.” The article chronicled the development of her drive and passion for benefit auctioneering as well as her stellar history of not only meeting, but also exceeding her clients’ expectations. Karen’s level of experience encompasses successful financial procurement over a wide spectrum of programs including environmental, private and public schools, churches, community projects, and an ever-expanding range of non-profit organizations. 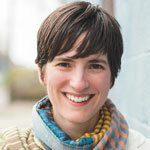 Karen offers solid attention to detail and planning, powerful fundraising tools and exemplary service. With Karen, clients can rest assured that their benefit auction event will be passionately and professionally orchestrated by a seasoned expert. 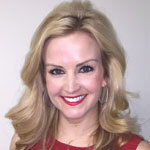 Sarah Jean Knox is a leading Minnesota professional benefit and fundraising auctioneer. For the past five years her perfectly balanced tone of lighthearted humor and evident passion and care have caused her to be in great demand. While running your benefit auction, Sarah Jean will enthusiastically rattle off bids and flirt with the audience while maintaining a professional charm that moves spectators to raise up their hands and place bid after bid. 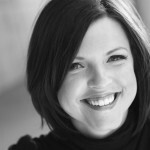 Hannah Kramer is a 2011 graduate of the World Wide College of Auctioneering. An accomplished contemporary dance-maker and performer based in Minneapolis, she is excited to broaden her expertise as an auctioneer and assist in the fundraising efforts of organizations of all kinds. Hannah is grateful to be able to pursue a career that contributes to the health, quality of life and the well-being of individuals from a variety of communities and cultures. Hannah’s warmth and sincerity is complemented by an on-stage sophistication that reminds audience members of why they are there, and compels them to give with enthusiasm and ease. Emily Engberg is a bright and talented woman who has a special knack for controlling an audience by capturing them with her sense of humor and passion. Emily has a way with people and is often known as the connector for her drive to meet new people and to inspire others to get to know each other. Emily’s community involvement dates back to 2000 when she was the recipient of the Miss Iowa Community Service Award through the Miss America Organization. Today, Emily is a well-liked TV personality and continues to be involved in several charity and non-profit organizations. Emily is a graduate of Arizona State University’s Walter Cronkite School of Journalism and the Continental Auctioneers School in Mankato, Minnesota. Patty Brunn is a certified, licensed benefit and fundraising auctioneer. She received her professional training from Continental Auctioneers School and has since earned the prestigious National Auctioneers Association designation as a Benefit Auction Specialist–something that less than 1% of auction professionals in North America hold. This, coupled with her many years of sales and marketing experience, has helped her master the balance of working with an audience and highlighting contributors’ generosity. Patty has a dynamic personality that wins over the hearts of an audience. Her compassion is authentic, and enables her to capture the importance of charitable work, and she never fails to effectively communicate an organization’s mission to its generous supporters. Her success in raising dollars is rooted in this ability to connect with an audience in a down-to-earth, engaging way, while always remaining classy and professional. (August) 2014 – Sun Sailor, Auctioneer doubles fee for Excelsior rotaries event. All money goes toward good cause. (April) 2010 – OKLAHOMA Magazine – Philbrook Museum Wine Experience – Karen Sorbo Celebrity Auctioneer. 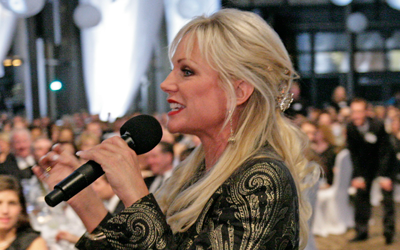 (May) 2008 – STAR TRIBUNE , Mpls, MN – Blinging and singing PACER STYLE ‘ VA-VA-VOOM pro auctioneer Karen Sorbo. 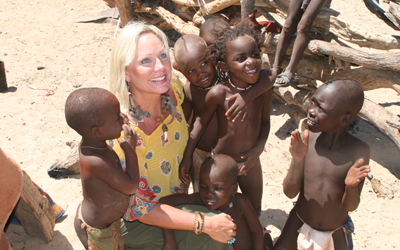 (Nov) 2007 – Minnesota Monthly Magazine – Global Event Smile Network – Karen Sorbo – Presented the Champion of Hope Award. (Nov) 2007 – Minnesota Sun Newspaper – Bethany Event to feature local auctioneer Karen Sorbo. (Dec) 2007 – MPLS ST PAUL Magazine – RSVP – Auctioneer Karen Sorbo raises more than $500K for Smile Network. 2005 – Minnesota Meetings & Events Magazine – Karen Sorbo – Featured Auctioneer at the Ordway Circle of Stars. (Feb) 2003 – MPLS ST PAUL Magazine – Winemaker’s Dinner – Children’s Home Society- Karen Sorbo Auctioneer. Karen Sorbo is one of the leading fundraising auctioneers in the nation. She has engaged audiences across North America with her talent of transforming the serious business of raising funds into a carefully choreographed and highly entertaining event. Karen is highly regarded in her profession as she has received numerous achievements, awards and honors since graduating from both the Missouri Auction School and the World Wide College of Auctioneering in 1993. For over 27 years, Karen has shown her commitment to making a difference from conducting over 2,800 auctions, raising over $700 million dollars for deserving organizations. Auctioneering is a very unique career, why did you chose this career path? Has being a woman in a primarily male dominated industry, been a challenge for you? 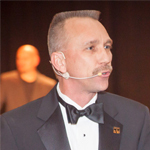 What sets you apart from most auctioneers? What did it take to become one of the leading fundraising auctioneers in the business? What is the best part of being an auctioneer?